Businesses looking to recruit young people in digital and IT, including two from Newton Aycliffe, have benefited from a successful careers fair held in Durham city. Aycliffe-based Baltic Training and Virtual College were among the exhibitors at the event held in the Rivergreen Centre at Aykley Heads in Durham. Tech firm RAW Digital Training teamed up with DurhamWorks, a County Durham Youth Employment Initiative funded by the European Social Fund, to host the fair. Almost 200 young people got to find out more information about digital and IT career opportunities from around 20 exhibitors during the four-hour event, which also included a series of presentations from experienced professionals in the digital sector. At least 100 jobs were available from the companies in attendance which included Sunderland-based Tombola and Durham-based Atom Bank, as well as Media Works, QA Apprenticeships, Sunderland and Teesside universities and Aycliffe firms Baltic Training and Virtual College, among others. Neil Guy, head of international operations at Tombola, which is expanding with a new HQ in Sunderland, said: “Businesses are screaming out for IT and digital staff. “We’re now looking to recruit degree apprentices, taking young people from school and college and hopefully keep them for 10 years or more, because of the skills shortage. Jayne Parsley, head of communications at Newcastle-based national marketing agency Media Works, said: “We’ve had lots of interest from the people attending, and received lots of CVs, so it’s very much been a worthwhile exercise for us. Two aspiring IT professionals who attended the careers fair, Kayleigh Lowdon and Nicolai Frampton, both lined up interviews with Atom Bank, the UK’s first digital-only bank, during the careers fair. Kayleigh said: “I’m interested in pursuing a career in digital marketing and social media, and maybe graphic design, but it was surprising to learn how many different avenues there are within the digital and IT sector. 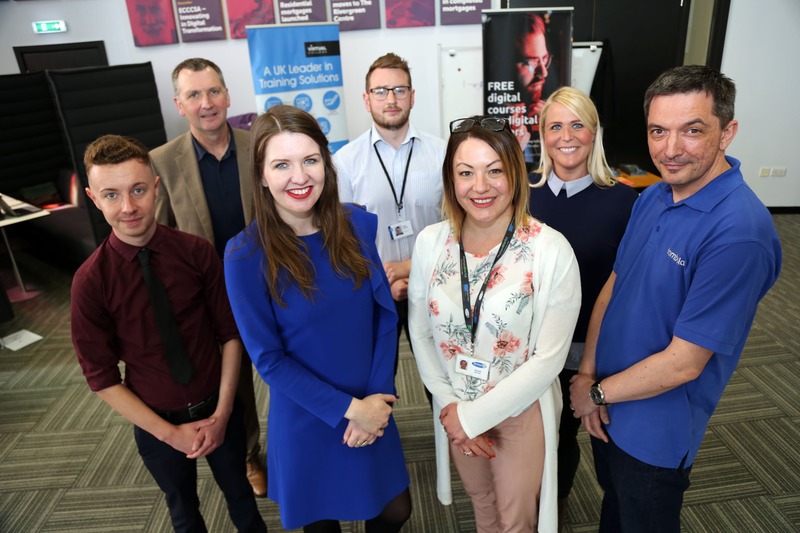 Joanna Wake, managing director of the event organisers RAW Digital, said: “We’ve brought together businesses looking to recruit people in IT, and young people looking for a career in that sector, so it’s been a fantastic event which everyone involved has benefited from. Joint-organisers DurhamWorks, a partnership project led by Durham County Council and part funded by the European Social Fund and Youth Employment Initiative, has now supported more than 4,000 people between the ages of 16 to 24 to become ‘work ready’. The programme works with a range of partners to help unemployed young people develop their existing skills, identify new ones and help them into a range of training, job and education opportunities. Danielle Barnes from DurhamWorks said: “The digital sector is one of our main growing industries in this region – it’s increased by 26% in the last couple of years – but the opportunities out there aren’t reaching our young people.